The Wei group works in the highly cross-disciplinary field of BioMEMS, molecular and cellular analysis, and systems biomedicine. 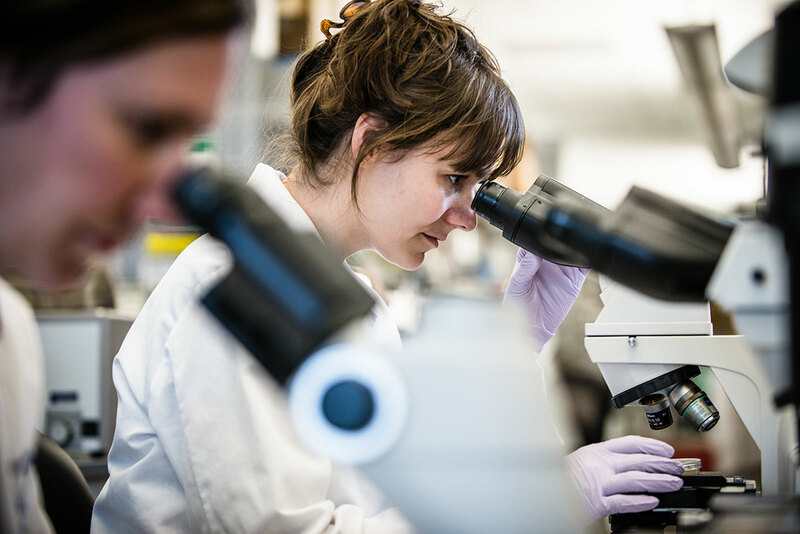 We have researchers with diverse expertise ranging from physical sciences and engineering to biology, and we have developed a long-term collaboration with outstanding cancer biologists, clinical oncologists, and the basic and engineering scientists among ISB, UCLA, UC Riverside, and SJTU. These joint efforts allow us to integrate single cell technologies with other biotechnological tools and computational approaches to investigate cutting-edge cancer biology questions with a balance between discovery and clinical translation. Specifically, we are interested in the following three areas. Liquid biopsy-based rare cell analysis for cancer metastasis and immunotherapy. Single-cell multi-omics: Cell-to-cell variability in any molecular dimension from genome to metabolome is a hallmark of many cancers. Single-cell multi-omics tools provide a powerful technology to simultaneously resolve heterogeneity across multiple biomolecular layers and to discover new connectivity between the genome and its functional outputs. We are developing a suite of microchip-based tools for massively parallel analysis of the genome, transcriptome, functional proteins and metabolites at the single cell level. Examples include the novel Beads-on-Barcode array (BOBarray) with a molecular barcoding approach for high-throughput simultaneous single-cell quantification of genome-wide expression and functional proteins using next generation sequencing, as well as the integrated proteomic/metabolic single cell chips for simultaneous quantification of functional proteins and small molecule metabolites in single cells. Cellular transition and epigenetic plasticity: ​Epigenetic plasticity has been associated with nongenomic adaptive resistance in multiple tumor types. It leads to a highly dynamic phenotypic evolution of cancer cells in response to physical and molecular perturbations, significantly confounds interpretations of therapy responses, and contributes to the resistance development. Using information theoretic approaches, coupled with single cell multi-omics analysis as well as epigenetic sequencing technologies, we interrogate the detailed molecular machinery of the drug-induced epigenetic remodeling and identify clinically actionable drug targets to arrest the tumor epigenetic plasticity. Rare cell analysis for cancer metastasis and immunotherapy: Blood-borne metastasis accounts for the bulk of morbidity and mortality of cancer patients. Rare circulating tumor cells (CTCs) hold the key to understanding the process of human cancer metastasis. We have developed robust on-chip image cytometry technology for high-throughput screening of rare disseminated tumor cells in blood or other body fluids. We are investigating the molecular signatures, functional activities, and metastatic potentials of these rare CTCs with the aim of understanding their diagnostic and prognostic values in the clinic. An important arm in this direction is the blood-based neoantigen discovery for cancer immunotherapy. Neoantigen-specific T cells have been implicated as a major effector of checkpoint immunotherapies. However, the neoantigen repertoire and associated reactive T-cell populations have not been well explored – either at baseline or over the course of treatment. One challenge relates to the availability of tumor biopsies – a significant limiting factor for personalized immunotherapy. Moreover, the molecular profile of tumors evolves dynamically over time. But repeated biopsy sampling is seldom feasible for patients with cancers that require invasive biopsy procedures. CTCs are good surrogates that enable clinicians to repeatedly and non-invasively interrogate the mutational landscape and dynamic evolution of human cancer. They retain molecular signatures from both primary and metastatic lesions, thus allowing identifying truck/branch mutations and monitoring neoantigen landscape evolution during immunotherapy. Our on-chip image cytometry platform enables resolving neoantigen repertoire and antigen-reactive T-cell populations via CTCs and associated PBMCs isolated from patient blood samples. It holds the promise to deliver a simple and noninvasive tool for blood-based neoantigen discovery.